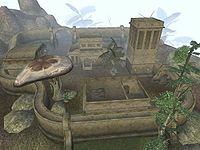 Rethan Manor is a Hlaalu stronghold located on the Odai Plateau, southwest of Balmora and east of Hla Oad. It is the smallest of the three strongholds available to you, and is based in the heart of Hlaalu territory. It contains the manor itself and three houses surrounded by a wall on all sides. The closest settlement to it is Hla Oad, which is located just down the plateau to the west. 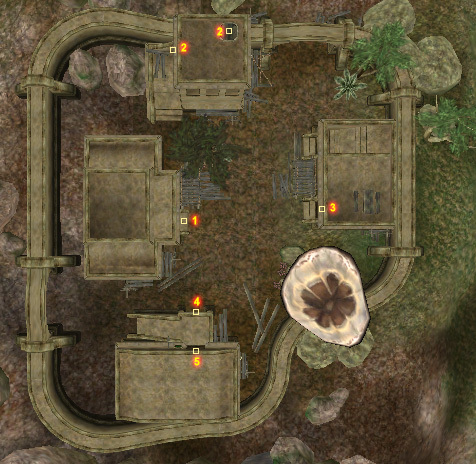 The stronghold, in its final phase, is the residence of several trainers and merchants, which are useful as an easy and definite method of selling newly-acquired loot.